They were working the crap out of my golden queen. 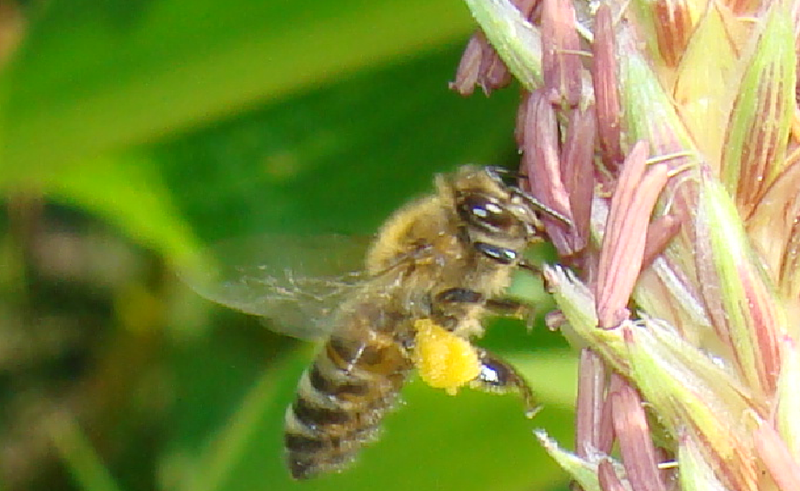 Several frames of pollen in the box. Now the farm next to me has tossing field corn of the round up ready variety. They have been working that with great enthusiasm too. These are my package bees installed April 1st. They filled up the brood box and now have 2 medium supers about ready for a third. My other hive is nowhere near this strength. Who says bees won't work corn??? ?